Medical dramas seem to be back in vogue these days, with The Night Shift, The Knick, Code Black and Chicago Med all trying to satisfy viewers cravings for life-threating emergencies and death-defying operations in recent times. 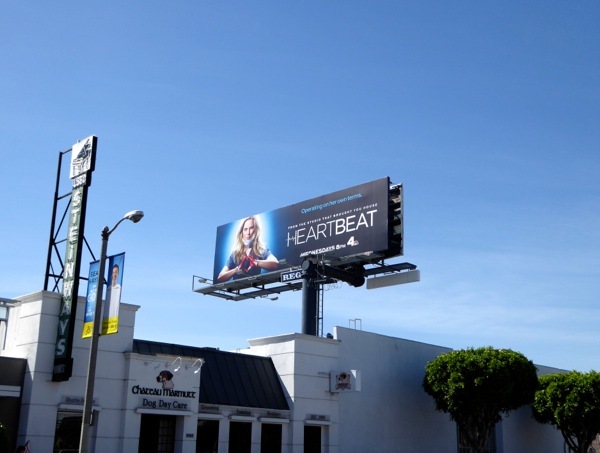 Now it's time to add another series to the medical mix with Heartbeat. 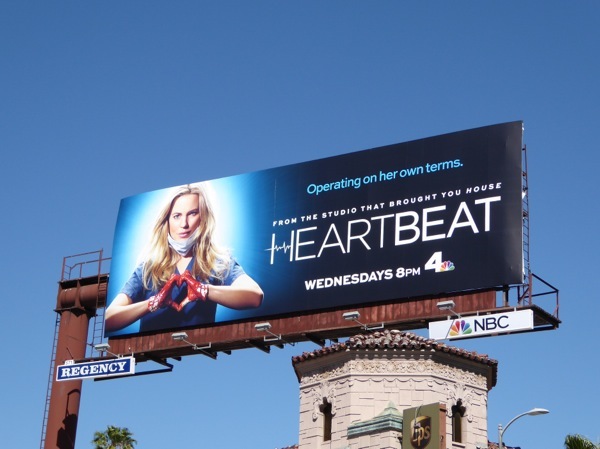 Loosely based on the real-life experiences of Dr. Kathy Magliato, Melissa George stars as 'Dr. Alex Panttiere', a leading heart transplant surgeon and one of the few women in her field of specialty. No stranger to hospital dramas, Melissa George enjoyed a short stint on Grey's Anatomy, and she's also joined on the surgical faculty by the handsome Dave Annable of Brothers and Sisters fame. 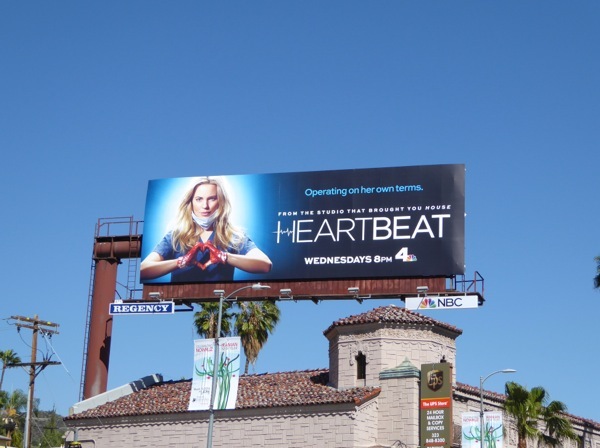 This Heartbeat series launch billboard, snapped along L.A.'s Sunset Boulevard on March 6, 2016 and above Beverly Boulevard the next day, comes hot on the heels of the recent Childrens Hospital season seven billboard, which was also quite bloody, but very literal when it comes to hearts. 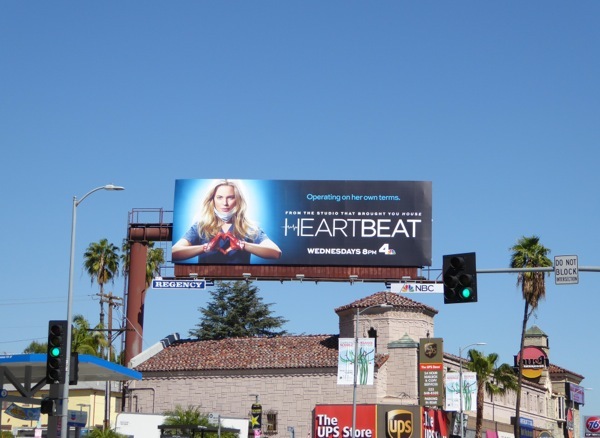 Admirers of Melissa George should also take a look at these Hunted TV billboards and these outdoor ads for The Slap mini-series, whilst fans of Dave Annable can also check him out in this Red Band Society billboard. Only time will tell whether this new surgical drama will make your heart skip a beat, or is destined for a short-lived massive cardiac arrest.